Learn what the “Have It All” lifestyle is really all about. 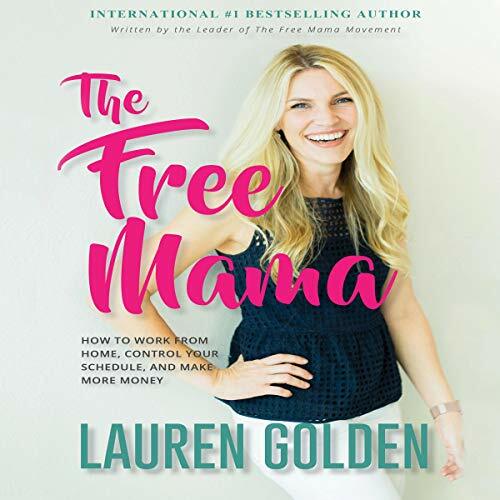 In The Free Mama, Lauren Golden, founder of The Free Mama movement, teaches women how to have a life many have only dreamed about: one where they can make good money and be there for their families - without sacrificing one for the other and without guilt. Learn how to become a quitter and why that can be the best thing you’ve ever done for yourself and for your family. You’ll learn to have more by doing less. Find out why working moms rock and why self-employment is the absolute best way for mamas to pursue their passion. Learn how the skills you already have are in great demand and how to turn them into a successful business that produces a steady, predictable source of income. Lauren, a master at focus and time management, reveals how to set up systems and use the time you have in the best possible way. She shares her “Daily Five” approach to rocking each day’s tasks and teaches you how to set boundaries in your work and personal lives so that each gets your full attention. If you’ve had this nagging feeling that you were meant for more, this book will reveal how right you are, and how within reach it is. loved it! I am so motivated to be a #freemomma! all your advice and resources were amazing!